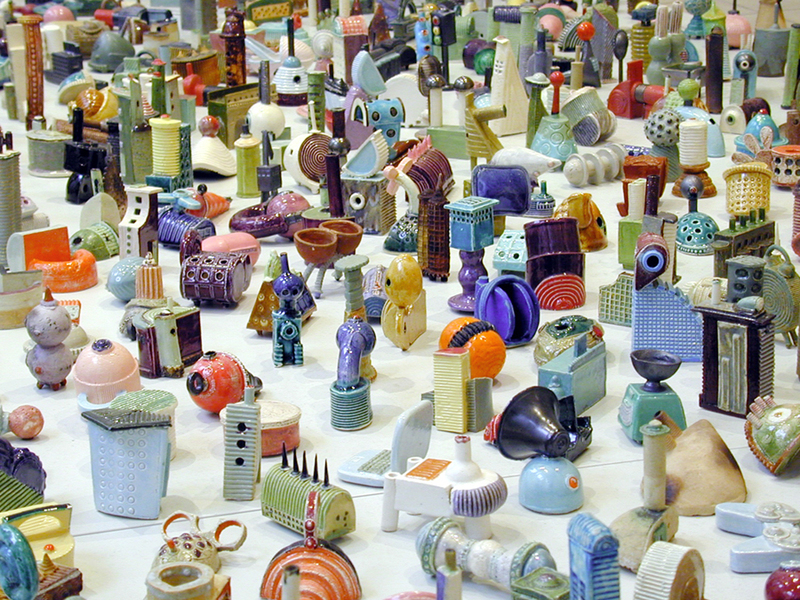 Metropolis is a multi-object work of over 1000 handmade clay sculptures. 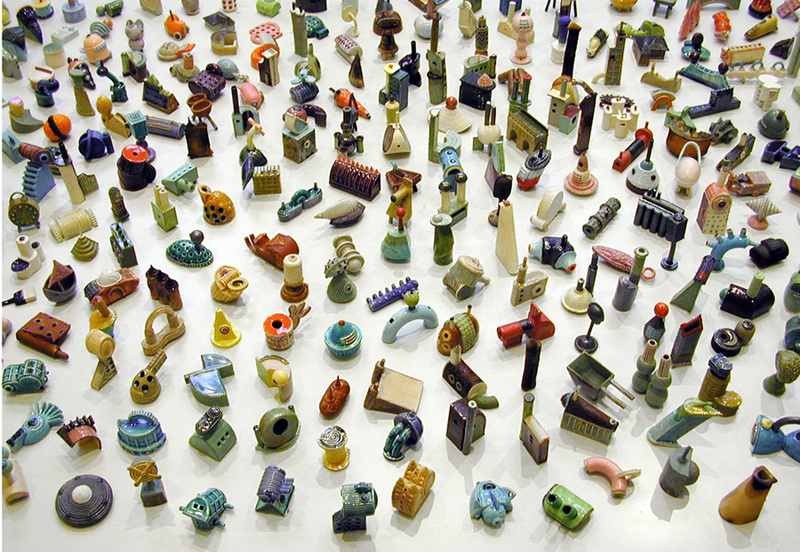 The installation charts the material culture of our urban environment, reflecting the complexity of the man-made world and human production. 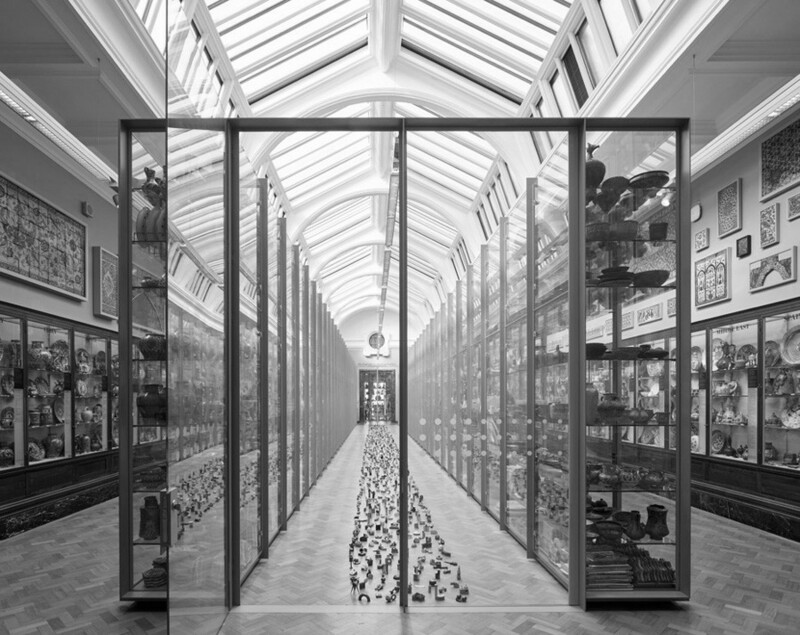 ¶ Drawing on memories of cities, anthropological collections and flea market juxtapositions, new fused forms which slip between overlapping identities are imagined and created. The historical and the current, the hand made and the industrial, the vernacular and the ubiquitous are all encompassed and reconfigured into a new landscape. 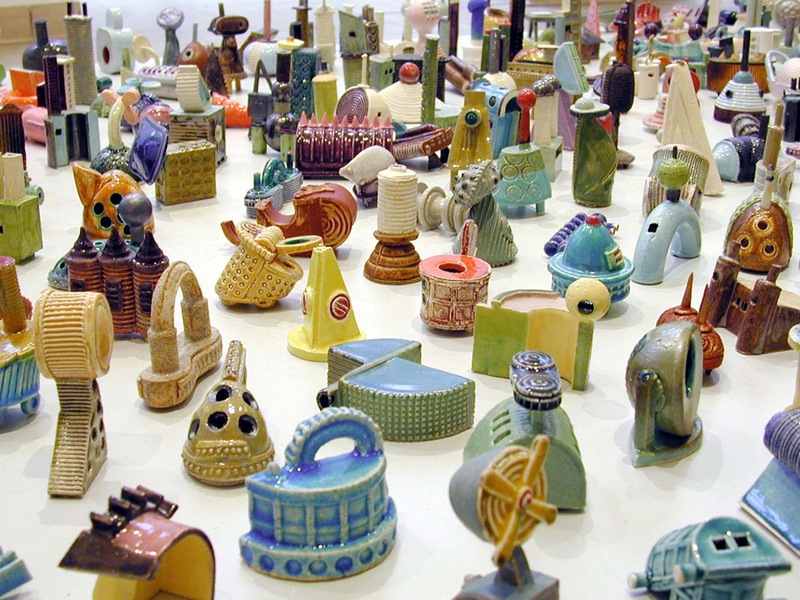 ¶ The work was shortlisted for the Jerwood Ceramics Prize in 2001 and Lubna has continued to build on it over time, adding new objects to the original installation. 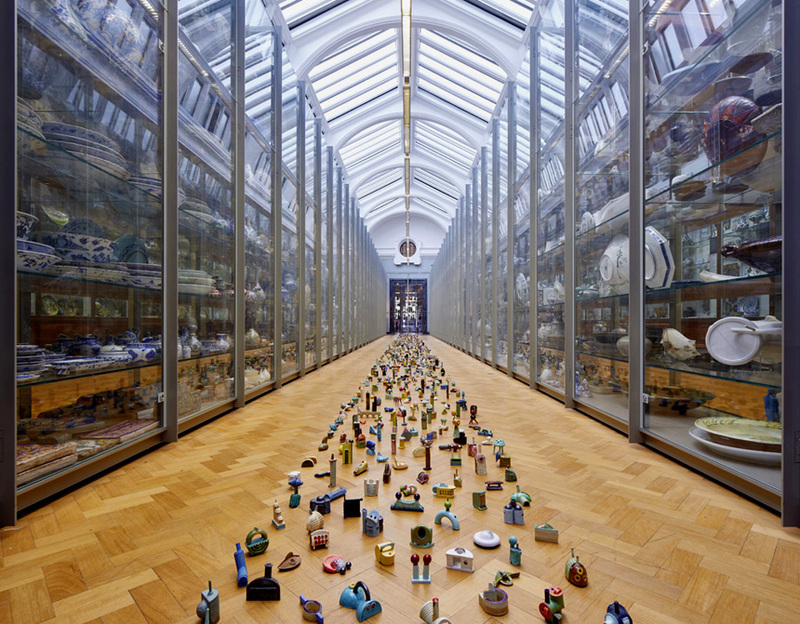 ¶ Its most recent installation has been in the Asian and European Ceramics Gallery of the Victoria and Albert Museum in 2017. ¶ Photography Edmund Sumner.